diyCrossing is creating handmade figurines, craft projects and unique gift ideas. Who are you and what is diyC? Hey! I'm Brackenhawk, a UK-based artist specialising in sculpture and painting. 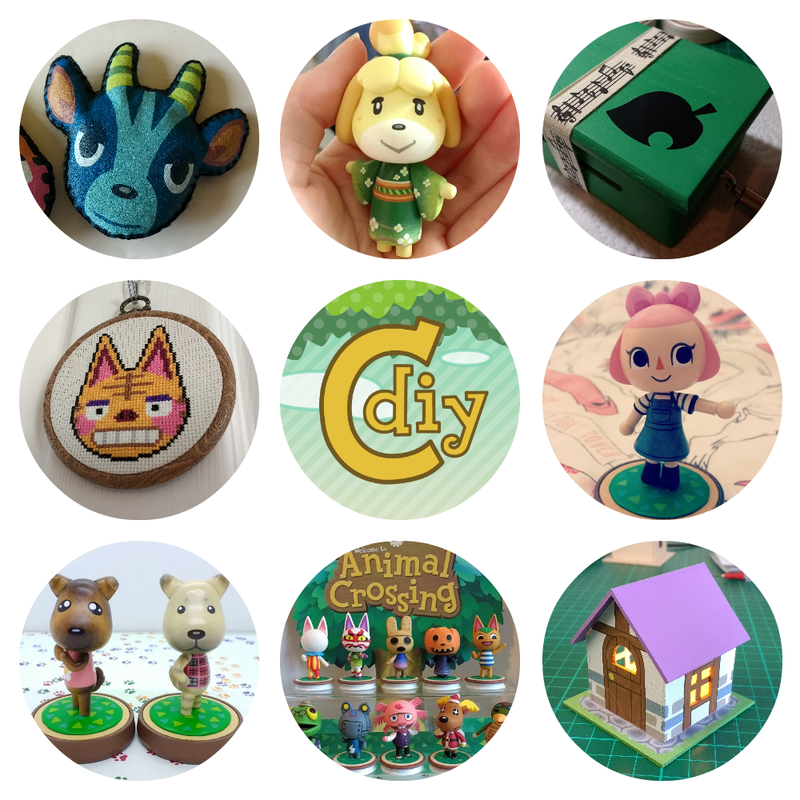 You've found your way to my hub for AC-themed art and creative projects including custom figurines, music boxes and make-it-yourself crafts. Each week I craft figurines from scratch live on Twitch, sharing the entire process from chunk of clay to work of art. Edited footage from streams is used to assemble time-lapsed featurettes showing off how each character came to life. In addition to my art I also transpose songs into strips for music boxes, dabble in textiles, woodworking and graphic design and try out all sorts of crafty things. diyC exists solely thanks to the generous support of commissioners, fans and friends. By pledging to me on Patreon you keep my creative wheels turning and enable me to make and share my work. Whether or not you're a crafty person I appreciate every bit of support offered to me on this journey. How do those bells get stuck up there, anyway? Access to monthly Patreon-exclusive blog posts, where I ramble about the crafty things I've been up to behind the scenes. Access to Patron-only commission slot raffle. Name shown in the credits of diyC videos. Those hard-working sisters always need a helping hand! Full access to the archive of cross stitch patterns. Submit requests for new characters. Good things come to those who smash. Hand-written postcard from Bracken sent to your door every month (courtesy of Pete at the Post Office) in true AC style. Vinyl stickers of new artwork. At 150 bags of bells I'll begin hosting monthly giveaways for Patrons!